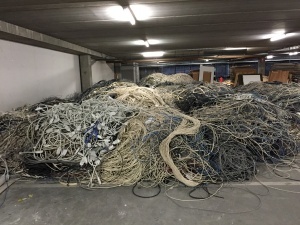 The material choices architects and designers make during the detailed design phase of a building or infrastructure asset impact directly on whether that built element is part of the circular economy or is used once and discarded. 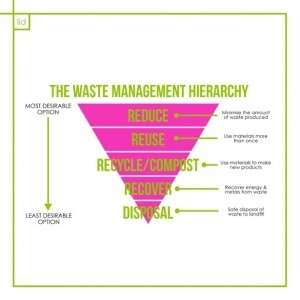 The waste hierarchy of Reduce, Reuse, Recycle, Recover is real and can deliver very substantial life cycle (whole of life) waste reductions for not much effort or cost. Low Impact Development (LID) Consulting are continually adding to our knowledge base of simple design specification items that deliver whole of life waste minimisation improvements, and improve a project’s contribution to the circular economy. Our basic service is an inexpensive engagement. Note, simply, a circular economy for an item is that there is no loss of value for an item ie its future uses are as valuable as its previous uses. There is no waste or pollution in the system throughout the life of the item. There is always a use for the item. The Wikipdeia definition is: A circular economy (often referred to simply as “circularity”) is an economic system aimed at minimising waste and making the most of resources. This regenerative approach is in contrast to the traditional linear economy, which has a ‘take, make, dispose’ model of production. In a circular system resource input and waste, emission, and energy leakage are minimized by slowing, closing, and narrowing energy and material loops; this can be achieved through long-lasting design, maintenance, repair, reuse, remanufacturing, refurbishing, and recycling, all implemented via corporate and social entrepreneurship. Proponents of the circular economy suggest that a sustainable world does not mean a drop in the quality of life for consumers, and can be achieved without loss of revenue or extra costs for manufacturers. The argument is that circular business models can be as profitable as linear models, allowing us to keep enjoying similar products and services. Call us for a chat to discuss smart sustainable solutions. We provide most quotes within 24 hours.